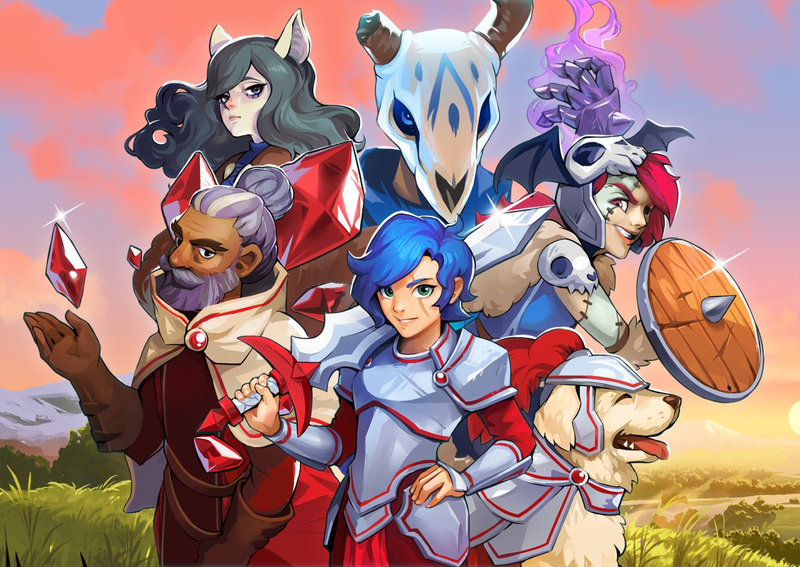 Wargroove is made explicitly for fans of the old Advance Wars games: the developers at Chucklefish have made no bones about it. Personally, I'm just a big fan of any turn-based strategy game, so I knew Wargroove would also be up my alley. Sure I really enjoy the Advance Wars titles, but even without the striking similarities, I would be totally on board. No matter what year it is, it just feels great to play a well-made strategy game. 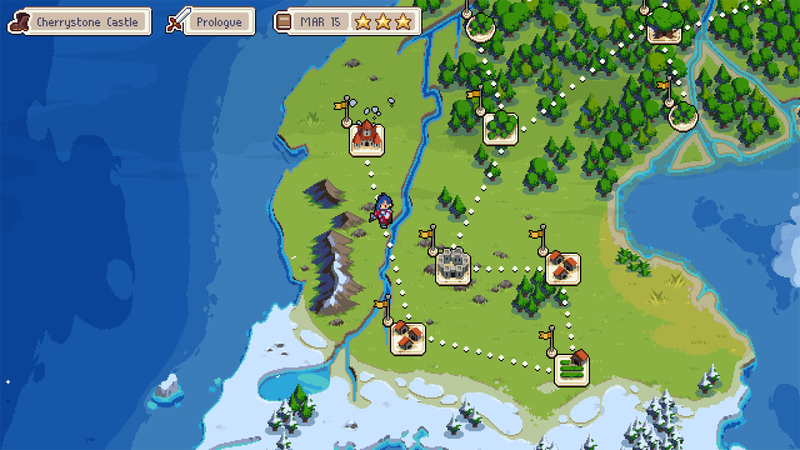 If there is one thing Wargroove does not lack in, it is content. Seriously, there is so much here and for $20, it's a steal. I'll just say this up front: if you like turn-based strategy games and have been pining for an Advance Wars spiritual successor, get it. Buy Wargroove immediately. Now, time to talk about the details. The campaign is likely where players will spend most of their time and the first thing to jump into. This mode does a great job of introducing the player to its many mechanics and unit types throughout the first handful of missions. All things considered, there aren't too many mechanics so that the game feels overwhelming with things to remember, but it doesn't feel all too simplistic, either. Campaign missions start the player with a set of units and an objective, often to eliminate a specific opponent or building. Luckily, there are varying objectives to keep things interesting, and even the basic "kill these people" objectives are often more lively due to the map's design or the unit selection/placement. There are those missions that feel frustrating because something unexpected happens halfway through that makes it very difficult to win on the first go. I'm sure better strategists than I can deal with it and go with the flow, but personally, I can't stand restarting a failed mission with new knowledge of what the gimmick is and then steamrolling it because I'm now overprepared. There aren't difficulty options in the campaign mode, though there are in arcade mode, and instead, the game relies on a star rating system after each mission. Overall, I found the difficulty curve to be alright, though there are certainly some missions that really felt like they came out of nowhere and completely screwed me up. I'll put it this way, I've thought "is this a mission I'm supposed to lose?" a few times. Often missions simply require a new strategy (often a more aggressive one) with newfound knowledge, but given the time investment involved before a loss at times, it's definitely frustrating. As for the story, it's alright. A new queen and her crew set out and encounter all sorts of factions and their aggression and they need to beat them up. The story is generally told in little bits of cutscenes before missions, but the theme tends to be more cute and direct than anything too grandiose. The opening is actually rather epic and led to slight disappointment when the first couple of acts were just "ARGH I hate you guys! Let's battle grrr!" It does do a good job of introducing the various factions and their units, though. Personally, I fell in love with the characters themselves and the designs of the factions. 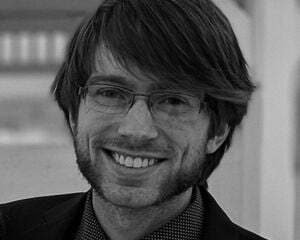 While things start off relatively familiar, soon enough I found myself going "wow that guy looks so cool!" 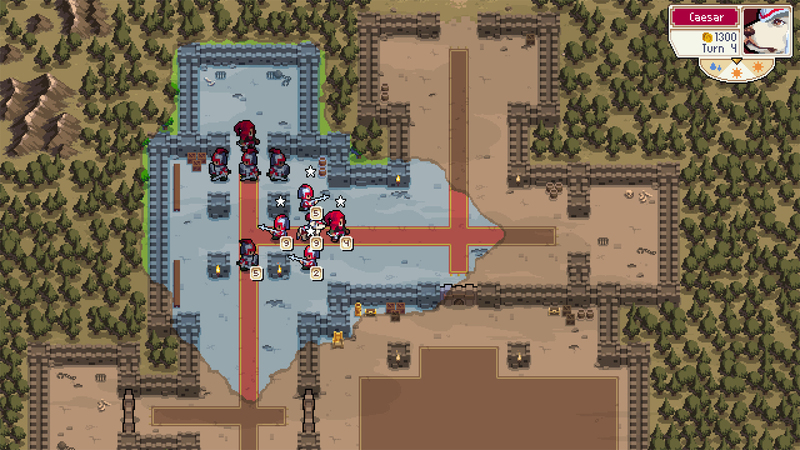 Whether it was a main character or even just a new unit I hadn't seen before, the character/unit design in Wargroove is top-notch. Mechanically, terrain and vision play large parts in unit placement, while building act to create a mini-economy to manage. Don't get the wrong idea, this isn't anything on the scale of a real-time strategy game, but there are income and expenditures to manage. 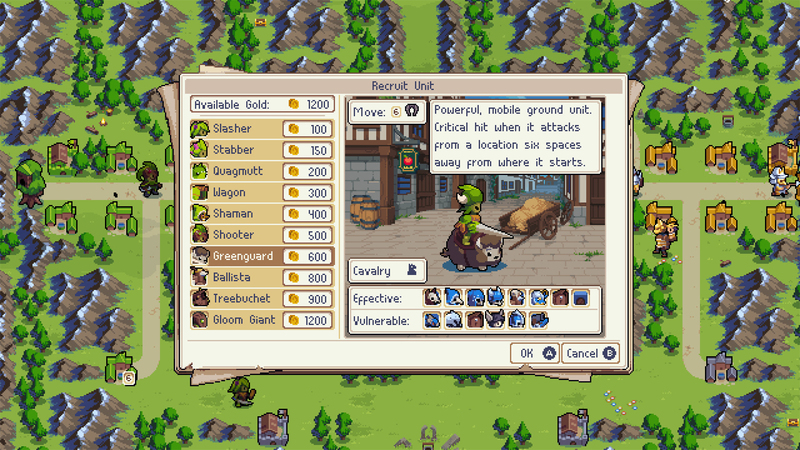 Capturing buildings around the map add to the income per turn, and that income can be spent at a barracks (if one is owned) to create a new choice unit each turn. This isn't an overcomplicated mechanic as it essentially boils down to "capture all the buildings and protect them, dummy." Each side takes its turn individually on a square grid-based map; one side will move all of its units, in any order, and execute any actions before the opponent gets to go. As always in the genre, where units end their turn is very critical and it's always important to be thinking multiple steps in the future. Gameplay feels like tried and true strategy games and any veteran will feel right at home. On top of all this, there are various Commanders available to play as, each with their own special ability, called "grooves." Commanders on their own are very powerful, and their groove only adds to that. This is a move that is built up over time and can often greatly influence the battle. The best part is that each groove has their own strategy involved since using it replaces the character's normal attack. Will you use your Commander's groove to set up a defensive aura early so he can attack when more units are here? But what if the fighting doesn't end up taking place here? I don't know! Why are things so stressful! As is typical in the genre, certain units are more effective and vulnerable to others. Luckily, the game has a handy codex embedded and easily accessed so that nothing has to be memorized. My only issue with the codex is that the units displayed as "effective" or "vulnerable" are in these tiny squares that I rarely understand what they represent. So I need to go further into the codex to realize what that unit is and then go back to double check their picture is on the side I thought it was. I wish I could hover over the tiles on the main unit page to see exactly what they are best and worst against to remove this hassle. Outside of the campaign, there are arcade and puzzle modes to enjoy the game's solid mechanics in. Arcade mode focuses on a single Commander and is a series of five battles that reveal more about the character and build toward revealing a "mysterious weapon." I ended up enjoying arcade mode way more than I thought I would; it really felt like I was demonstrating my knowledge of the game and even when I lost, I never felt cheated like I sometimes did in the campaign. The puzzle mode is also a blast. Given a set of units and an objective, players have a single turn to complete said objective. More than ever, the order in which units take their turn is crucial. A lot of puzzle mode boils down to understanding the range and abilities of every unit (especially things like critical hits) and then figuring out the best order to execute everything in so that a single turn is just enough. I didn't know I wanted this mode, but it's a great idea and executed marvelously. Most of these extra modes are unlocked by playing through the campaign and completing side missions, so you have to work for it!all that! Still not enough content for you? What if I said that you can easily create your own maps and campaigns and share them online? I'm talking like, complete creative control and the ability to create your own cutscenes. The editor on Switch feels a bit clunky and is clearly designed for the PC, but it's fine after getting used to its quirks. Oh, and did I mention that there's multiplayer for up to four players, online and local? Yeah, like I said before: there is a ton of content here, and it all looks beautiful. The animals and pixel art are sublime, really making the world and character design come to life. The little battle animations are great, though I did eventually turn them off to speed things up a bit.